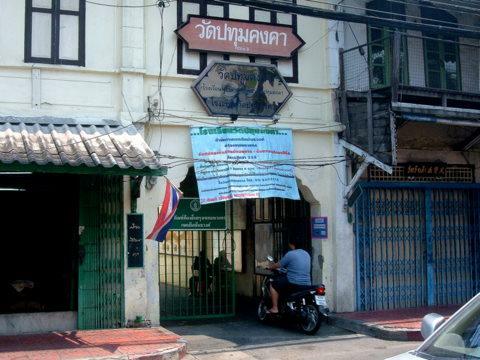 The museum was originally in Traimit Road located within the same compound as Wat Tramit at the entrance to Yaowarat, Chinatown Bangkok not far from the Odean Gate. Wat Traimit is where the Golden Buddha is housed. 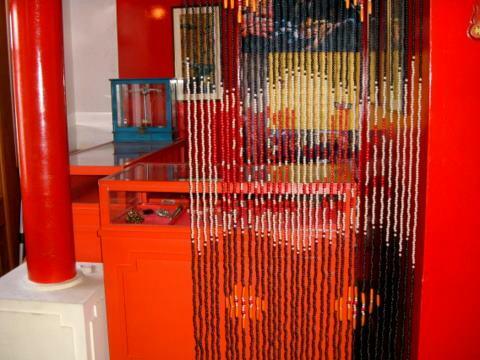 These museums are a series of local museums preserving the history of the communities in the various districts. 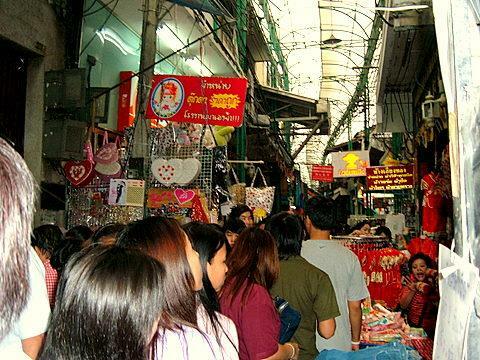 Chinatown Bangkok effectively covers Samphathawong district, an area approximately 1.42 sq km packed with traders, goldsmiths, dry goods, provision shops, 22 shrines and six temples. 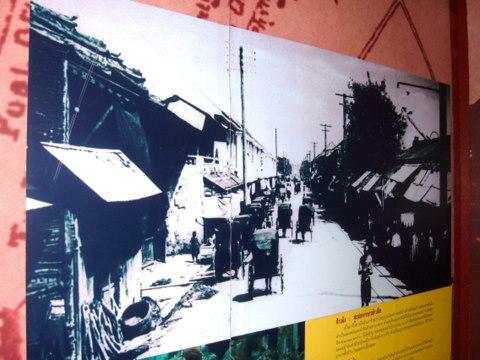 A series of pictures and text in Thai and English give the visitor an overview of the waves of immigrants from the early days, their lives and contributions as traders and labourers in the Thai economy. The visitor’s attention is immediately focused on the son of Sin a Teochew buffalo trader from Ayutthaya who became the Governor of Tak province. Phraya Tak as he was called played a pivotal role after the fall of Ayutthaya. He was later installed as King Taksin of Thonburi, the capital before Bangkok. Because of his Teochew ancestry, King Taksin was able to call on the support of the Teochew trading community who gave him material support for the war against Burma. As with the rest of South East Asia, most of the immigrants to old Siam were Hokien, Cantonese, Teochew, Hakka and Hainanese from southern China fleeing the famine brought on by natural disasters. The immigrants flocked to Bangkok and the coastal areas on the Gulf of Thailand. Trade with China has been going on since the founding of Ayutthaya in the 14th century. However in 1727, trade boomed when China opened all her ports to rice imports from Thailand. Besides rice, Thailand exported agricultural products and teak. Pottery and silk were the main imports from China. Chinese junks made frequent visits to Bangkok’s port. The Bowring Treaty in 1855 opened up trade in Thailand to Britain. Other nations were soon to follow which increased the demand for labour. 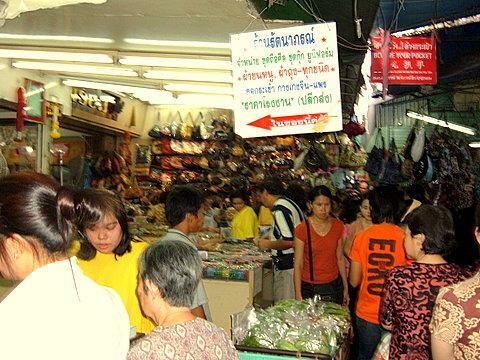 This together with worsening economic conditions in China gave rise to increased Chinese migration to Thailand. The commencement of steamship travel in 1882 gave a further boost to Chinese immigration. 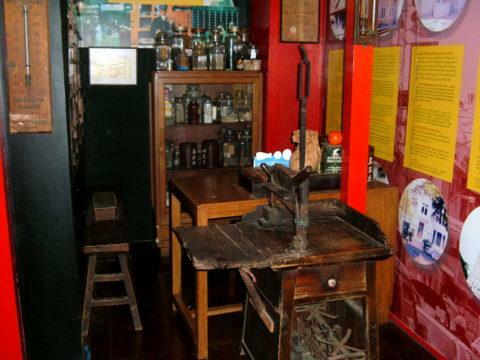 The second room in the Samphanthawong Museum features shops in old Chinatown, some of which are still present today. The goldsmith shop is still a common feature in Chinatown today. Rice, the staple food for the Chinese community, continues to be packed in these sacks. 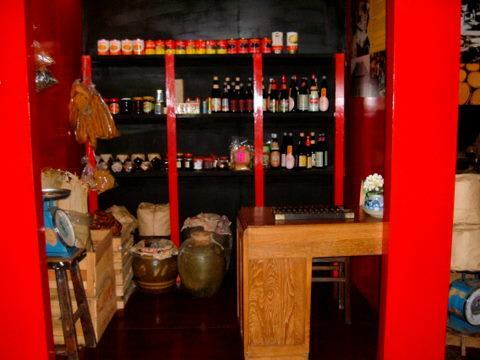 Buy all the various sauces and preserved goods in earthen pots from this store. Long before the days of the modern pharmacies, this was the neighbourhood drug store. Besides history, the Samphanthawong Museum also features attractions in the district like the various street markets in Chinatown, like Sampheng and Saphan Han various temples, shrines and an old mosque! When Bangkok was established as the capital, the Chinese village on the site of the Grand Palace was resettled to make way for the Grand Palace. The Chinese were resettled on a royal grant of land. The settlement gradually grew to be Chinatown today. The place was called Sampheng or the "three Phengs".Today Sampheng is a thriving street market. Saphan Han at the other end of Chinatown was one of the embarkation points for the early Chinese immigrants and also a busy market. The market is still there though somewhat different. These attractions can be viewed by suggested walking tours through the various streets and alleys. Yaowarat, Chinatown Bangkok features the main street in Chinatown Bangkok. Walking Street Chinatown and Chinatown sights are routes that take visitors through narrow lanes and alleys to view various places of interest, street markets and eating places. The Chinese population in Thailand hit 800,000 in 1827 and 1.4 m in 1907. In a 1909 census, the Chinese in Thailand had reached almost 30% of the total population in the city and controlled most of the trade. 48% of the Chinese were Teochew. 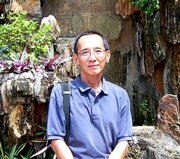 On a visit to the Samphanthawong Museum on 17 December 2006, I was shocked to find that the museum has been demolished! The entire site of the former museum has been completely leveled. A guard at the site said that the museum has been relocated to Wat Samphanthawong nearby. However, nobody at Wat Samphanthawong knew anything about this. 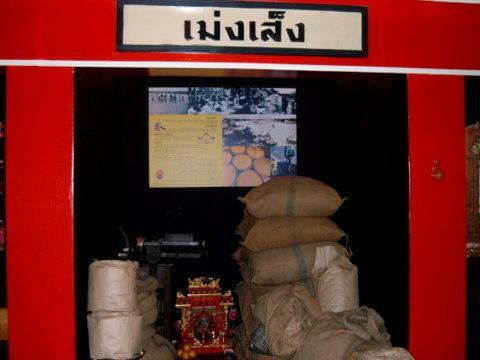 Checks with the Bangkok Tourism Division for more information on the museum drew a blank. 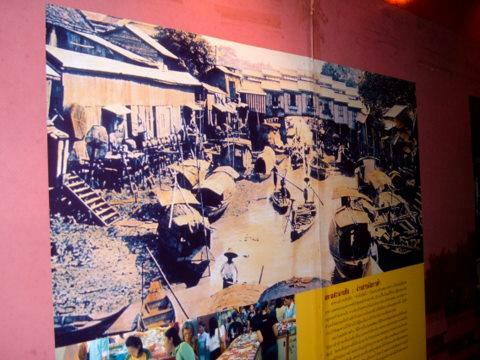 What a pity, I thought, that this museum in Chinatown on the history of Chinese immigrants to Thailand is now gone. But the museum didn’t move very far away, less than half a kilometer. On 19 February 2010, Andy from Aachen Germany e-mailed me to inform me that the museum is now located in the Wat Pathum Khongkha School. Thanks Andy for the feedback. The Samphanthawong Museum in Wat Traimit was demolished to make way for the new building to house the Golden Buddha and the Yaowarat Heritage Centre. It would be unfair to compare this community museum with the brand new Yaowarat Heritage Centre in Wat Traimit which also covers the Chinese heritage in Yaowarat, Chinatown Bangkok. Community museums are run by the Bangkok Metropolitan Authority (BMA) on tight budgets, which is why they are located in schools. Their exhibits consist of display boards with pictures and text and some reconstructed models. Sometimes I wonder why they didn’t combine this museum with the one in Wat Traimit. Perhaps different groups are involved in running these museums. However these community museums are a wealth of information on the local communities even if they are lacking in presentation and style. Also they were established long before the fancy high tech gadgetry came about. The Samphanthawong Museum can take pride that it is the original museum in Bangkok that preserves the legacy of the early Chinese immigrants in a simple yet informative way. Take the Chao Phraya River boat to the Ratchawong pier in Chinatown. From the pier walk along Ratchawong Road and turn right into Song Wat Road. The entrance to Wat Pathum Khong Kha School is in Song Wat Road. Proceed to the building 2 on the right, the school administrative office. The museum is upstairs. 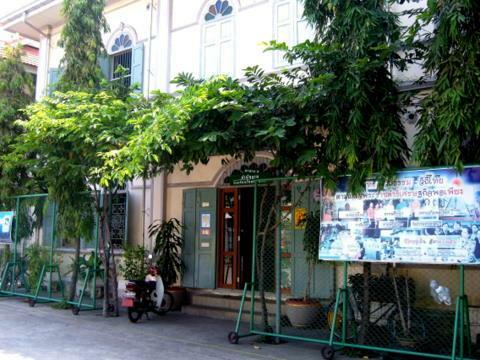 The Samphathawong Museum is open from Mondays – Fridays from 0800 – 1600 hours. Admission is free. 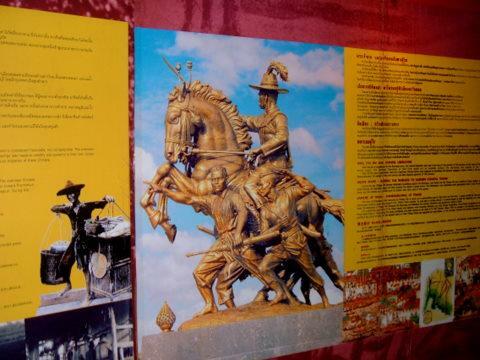 Except for the two present day photos of Sampheng and Saphan Han, all other photos are with the courtesy of Samphanthawong Museum. To return to Chinatown Bangkok and for more Bangkok Museums.